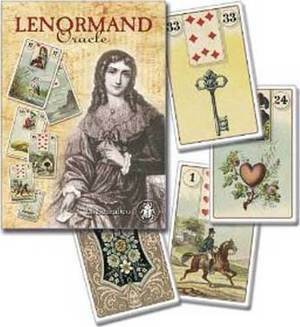 Marie Anne Lenormand is famous for being Napoleon Bonaparte's trusted card reader. Let the Sibilla of the Salons guide you toward self-understanding and insight through this historically-inspired oracle deck. Included is a detailed instruction manual for understanding and working with this unique deck. 36 cards. 3 1/2" x 5".